Clinton Crockett Peters is the author of the essay collection Pandora’s Garden: Kudzu, Cockroaches, and Other Misfits of Ecology from the University of Georgia Press. He has been awarded literary prizes from Shenandoah, North American Review, Crab Orchard Review, and Columbia Journal. He holds an MFA from the University of Iowa where he was an Iowa Arts Fellow and a PhD in English and creative writing from the University of North Texas. His work also appears in Orion, Southern Review, Hotel Amerika, DIAGRAM, Electric Literature, Catapult, and elsewhere. 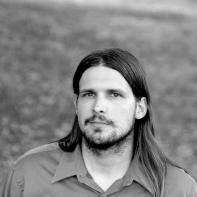 He is a Visiting Assistant Professor of Creative Writing at Berry College. Hermetic mountain monks in Japan, the yamabushi, were once called upon by hill-nestled towns to carry messages to the clouds. Around the ninth or tenth centuries, this priesthood formed when people gazed upon craggily peaks and saw the realm of ghosts. Cemeteries were built on mountains as they still often are in Japan. The modern term “toge,” for mountain pass, has a root in the word “offering,” which is what you would give the spirit of a mountain if you hoped to cross alive. It took a liminal figure to act as a go-between. The yamabushi were guides, priests, cemetery caretakers, and shrine keepers. They practiced Buddhist, Shinto, and animist religions. When they came back from peaks to the land of the living, it was sometimes assumed that they died and had returned born-again. In the late 2000s, I spent three years teaching in a village in the mountains near Nagano, once yamabushi trekking grounds. I was an English instructor, working in a Japanese public school and tutoring both my students and fellow teachers. I also served as a kind-of foreign mascot, a tall — six-four, giant for Japan — white man with long hair, a token of the town’s cosmopolitanism. It was a life-orienting opportunity at the age of twenty-four, but in Kosuge Village I felt at a loss as to what precise educational script I was following. I’d moved to a new country so surely I should act like a new person. A mere, three-day Tokyo conference in the summer of 2007 had instructed me on the job. I learned popular English grammar games and how to travel across the world, but nothing to help me become a foreigner acclimatized to mountain village life. My English classes, made up of first grade through ninth, felt more like babysitting, shadowing a textbook and conjuring games under the perplexed gaze of my native co-teachers, many who didn’t understand English. I did and did not take my job seriously. On the one hand, I was conscious that, for better or worse, English was a global language, and it could help my students learn and navigate the world. Second thoughts, however, dispelled the fantasy that my job, and my life there, mattered. I could be replaced with a tape recorder, an iPad, a switchboard where you plugged in the right English information to jettison expected responses. My students and my fellow teacher’s abilities in English (and my own in their language) were usually enough to form a kind of shadow understanding of the texture of our lives. They could not know that I spent most of my free time reading about Japan in order to understand my ephemeral place there, and I could only imagine about their own lives outside of school, where they disappeared to on weekends. Beyond that, there was a chasm of mystery between us. Surprisingly, during a festival celebrating children, I got invited to dress up as a yamabushi and present the gift of fire to the town. At the time I was elated, as if the valley were opening up, and I didn’t hesitate accepting. But as the event drew near, I fretted that the role as a mountain ascetic was just one more I didn’t know how to play. I worried my life in Kosuge would be empty space in my memory, three years spent in learning and teaching mis-connection. The principal, next to me, square-headed, sweaty, and toupéed, shook his head as if resigned. At our junior high, the principal ran a tight ship, but here we were at the whim of Kosuge’s archetype prankster, Kato, who routinely kept the Department of Education up until three in the morning singing karaoke. Dave sat on the other side of me, a foot shorter, immaculate dark hair, sipping beer, a wide grin on his face. He was one of the few friends I had in Japan. Dave was Irish and taught at a high school a three hours’ drive away. We’d met at our introductory conference and occasionally traveled on weekends. At the last second, another yamabushi had canceled, and I’d been able to invite him. There were tumults of laughter. Beer foamed, and someone passed around Asahi. It might go without mentioning that alcohol was inherent to life in Kosuge. Weekly I was invited to enkais, or “teacher meetings,” uproarious parties, either at one of the town’s tourist-driven hotels or at the local Chinese restaurant called “The End of the Road.” Often, a party would begin at a hotel and spill over to the End of the Road, where in a smoke-filled haze we would consume dumplings and spicy shrimp chili, while the teachers grabbed liquor bottles off the wall. These enkais were on school nights, and in the mornings the principal looked the other way if a teacher snoozed on his desk or kept a wastebasket nearby. Some teachers, I believe, were simply alcoholic. Others faked how much they drank, how drunk they were. For me, I found myself forced along, if only to have some semblance of connection. More than one teacher pulled me aside (sober) and recommended getting more drunk at our meetings. But even at 240 pounds, I’d never been a strong drinker. I’d never been fond of losing my senses, of seeing myself slip into some kind of emotional state. When I put it to a friendly math teacher once, he informed me that they believed alcohol encouraged bureikou, the suspension of hierarchies and formality. Why this codified way of letting one’s hair down? I wondered. Yet this blowing of consciousness seemed a key to Kosuge’s impenetrability. Maybe there was a kind of willingness to bare your hidden self if the other would too. Was this was the project of humanity, to strip down impenetrable layers? To find beneath culture a strumming layer of comprehension, a recollection that, across timezones and histories, there was a gift in recognizing the depth behind an other? Kato-San’s instructions spilled into his Koshu dialect, stockpiled with slang, and I only digested a third of it. Bewildered, I strolled over to the ten costumes laid out on a long table in the back of the room. On top of my underwear I understood that I was to slide on ballooning, canvas trousers. Over them, a white cotton gi and a deerskin robe, secured with a vermillion sash. Then leather wrist guards. For accessories: prayer beads and a neckless of tassels that looked like amputated rabbit tails. And then a wooden box worn on the back called an oi. The oi was, I later learned, a portable alter that displayed Buddha’s carved image and once carried scrolls. It also symbolized the womb. It was a subtle representation of the yamabushi’s rebirth on the mountain. Last was a pentagonal skull cap that I secured over my temple. The wooden cap represented the Yamabushi’s connection with the divine and with the dead. I felt unnerved, eerie donning these garbs, like I was partaking in a ghostly ritual, awed by the wardrobe. I felt relevant, weighted by time, the centuries’ long accumulation of artifacts. “It’s a nose,” a man said beside me, having tied the skull cap around his face, making bovine squeals. “Isn’t that sacrilegious?” I said, reflexively, in English. I glanced at that direction, the teachers slurping beers, bellowing. This was a mostly dead religion after all. The Yamabushi were banned in the late 1800s because of its competition with war-kindling, state-sponsored Shintoism. Yamabushi made a modest comeback after World War II, but not enough to ensure longevity as anything really but a relic. Maybe I was letting nervousness boil over into austerity. Maybe I was caught in that mindset of respecting something because it was old and of wanting everyone in Kosuge to do the same, still missing what was at stake here. Perturbed, I caught a sound wafting in from the tall windows, and I shuffled over. We were on the third floor, and I could look out to see the village’s roofs and modest gardens with manicured trees and postage stamp lawns and see the fair grounds where thousands of people were already standing by the river. The sounds of koto strings echoed off the hillsides like water dripping in the distance. The thirteen-strings stretched over tapered, elongated lacquer make up Japan’s national instrument. Koto are constructed from Paulownia wood, one of the fastest growing hardwood trees in the world (growth spurts of seven feet per year). According to woodworker guilds, it is one of the easiest materials to shape and create lasting instruments and even houses. The trees grow in the United States from Washington to New England but are considered invasive in some parts. Few carpenters east of Hawaii utilize Paulownia. For Americans, the materials of construction lie all around us, ignored. By being an American abroad, I projected my world, my systems of reference onto a tiny village. Naturally, of course, it pushed back. I think Kosuge’s teachers took pity on me and explained the route into some kind of recognition, through drinking and through the festival. With my senses obliterated, I would be an elemental self, willing to be shaped. The town’s echelons invited me to the festival because my role was cast and the script was theirs. In the realm of the mountain gods I would be inscribed within forces beyond my steering. Outside, we followed the paved village roads down to the base of the mountains. Leaving the asphalt, our boots followed a sandy path to the river. At the water’s edge, three kindling stacks for the bonfire waited, the middle pyre three-stories tall. Sitting next to a bridge with bright blue handrails, we could see the onlookers swamping the road above. Three of them, teenaged girls, turned around, and beneath quarts of makeup, I recognized my students. They waved. “Clinton-Sensei, how are you?” they called out in English. Their faces didn’t show understanding, but they laughed. “Do your best,” one said, and snapped a picture with a flip-phone. Then they turned around. “No, I’m not nervous,” my principal said. “This is very fun!” His voice cracked. Before we lit the fires we would each come up to the water’s edge and deliver a speech. We practiced now in low tones. “Onajiku, warekosowa…” my principal read off a sheet of paper. In our speeches, we were announcing we’d come from different mountains around Kosuge. My principal was coming from the famous Daibosatsu, or Big Buddha, that stood at the end of the village and where scenes from the samurai movie Sword of Doom were shot. I was coming from Shishikura Mountain that rose just behind my school, covered in a patchwork of cedar and maple, which I looked up at every time I went to work. Because Kosuge had only so many mountains, the others were coming from their home towns, and Dave was coming from Ireland. We all held out our scripts. “Samurai voice,” my principal said and poked me. “Samurai voice!” Someone else said. We had beers by our side, still cold, but I wasn’t touching mine. My knees were shaking. I looked up at an arch of cedar trees on the mountain opposite the river. Their tops fanned in the wind like a verdant ocean. I remember when I’d first moved to Kosuge, driven in over the mountain pass, and I’d spent most of the time looking up in bewilderment. What was I to do in the face of this magnitude? Mountain peaks around the world puncture the invisible heavens and are bearers of disaster: rock slides, bear attacks, floods, tree falls, and mud wall tsunamis that can wash away entire towns in a blink. But they are also benefactors: streams that trickle into rice paddies and rivers, a place for livestock, wood for homes, mushrooms for picking, and the heralding of sunlight. This is why it is wise to worship mountains, to address the fickle nature of unseen forces, ready to grant life or destroy. Mountain worship is certainly not endemic to Japan. It has occurred nearly everywhere where there are mountains. The key to mountain history is awe. More than statues or skyscrapers, rivers or oceans, more than redwoods or waterfalls or whales, yama are the one thing on this earth that can rise up and to break the edges of our vision. When magmic, they can literally blow everything apart. When you journeyed up one, you weren’t expected to return unchanged. The koto music stopped, and Kato-San put out his cigarette. Two men wearing overalls came up carrying ten torches and handed them around. Kato called us forward, and he drenched the fat, cloth-wrapped ends amply in kerosene. He then sparked the torches with his lighter. We held the heavy light with one hand. The sun was setting, already a faint glow over the end of town. We followed Kato single-file under the bridge, beside the koto stage, and in front of the eyes of the people. Along the river, the crowd covered the stone seats on each side. Adults slurped noodles and nibbled skewered trout. Their children lit sparklers and trailed them in front of their faces and around their parents making shadows behind the living. There was a hush like the air gone out of a room. The sparklers dimmed and winked. A spotlight came on, shining on the river, from where I don’t remember. The principal blinked and a trickle of sweat ran down his scalp as he walked into the light. Flash bulbs went off, and the crowd stadium-cheered. The locals, my principal went on, had requested yamabushi to go up to the mountains and ask the gods for a way to make meaning in this awestruck valley. The Japanese gods trusted humans with fire, but not only that, they gave the people friendship, passion, love, and peace. The yamabushi were carrying these things, too. My principal's speech lasted a half-hour. His trickle of sweat had become a dam burst. Our torches burnt out, and Kato handed us new ones. Finally, the principal stepped back from the spotlight. An elderly farmer stood in and quickly announced his mountain and that he was bringing the fire of peace. One by one the yamabushi entered the spotlight, stated their mountains, their gifts, their names. In the moments before my cue, I listened to the yamabushi, absorbed in their rhythm. There were differences, but I noticed a common trancelike state. Each yamabushi had his speech. The young men boomed, while the old men spoke soft, but from a similar place of resolve. At this the crowd stormed me with their voices in celebratory drunkenness. A couple of beer cans were thrown, their foam sparkling in the light. I was speaking in Japanese, from a learned script, but I tried to announce myself from my root self. I tried to plant me in that time, in that place, where regardless of misgivings, I had something, even if it was only memorized words to offer. I said my name and then stepped back. The crowd boomed, and my scalp tingled. I don’t know if it was the euphoria of the crowd that teleported me or that I was reorienting myself. Maybe I was learning to become a new person, living among new persons, and if we shared our myths an understanding could be reached at some unconscious level. Somehow, I thought I was supposed to be last, but David had not yet arrived. I was startled when another white, Western face took the spotlight, the beam askew on his forehead, delivering the same speech. It was as if I recognized the strangeness of my being in Kosuge for the first time, the threat of my body and culture, and the dawning appreciation for all the town had done to try to accept me. “I too, am like those who came before me!” David boomed. “I have come from the mountains of Ireland, and I bring you love!” The crowd roared. Dave stepped back, and the ten of us trampled over and encircled the stacks of kindling. The night air was growing darker and cool. At a shout by Kato-San, we lapped our torches against the pyres. The wood crackled and smoked, dry branches engulfing in flame. The heat rose against our legs. As I turned to light the shorter trees, taiko drummers began playing on the koto stage. A fellow teacher grabbed me by the shoulder, hard. While my back had turned, the middle pile had turned into a 40-foot torch that rolled down the river in enveloping waves of sapphire, blood-orange, and gold. Speechless, I backed away beneath the bridge. The crowd screamed, abandoned their food, and escaped up the bank. We watched and listened to the rumbling drums. Soon projectile sparks began falling on the bridge and stage. The flames from the skyscraper fire began licking the maples on the opposite bank, and the Kosuge volunteer fire department switched their hoses on. A million embers filled the sky like fireflies, falling all around. I stood next to Dave in the shelter beneath the bridge. “Can you imagine this in America?” he asked. I started to shake my head, but then I remembered and recalled to him a bonfire at Texas A&M, in my home state, that was so giant several students had been killed when the logs had blown over in the wind. The firefighters curtailed the flame, and the crowd moved gingerly to their seats. After two taiko songs, the koto players joined the drummers on stage. Together, strings, drums and fire, there ensued a stilling overture. Twenty minutes later, Kato-San came up and announced our final act. My principal, still streaked with sweat, made one more speech under spotlight. He said it was time for the yamabushi to be reborn. Having come back from the place of the dead, our rebirth was going to occur now as we crossed the river. Torches alight. Water is how one comes into this world. I’d been advised by my teachers to cross at the deepest part, to fully immerse myself. Crossing here was how the newest arrivals arrived. I was hesitant as the current appeared depthless. The older yamabushi went through the shallowest section of the Kosuge River. Another young teacher, who’d only just come a few weeks before, bee-lined for the dark pools and I with him. It was a spark of thought I wouldn’t have had earlier, something instinctual, a trust newly fashioned. The river was flowing a walking pace. The young teacher and I were soon submerged up to our necks, our sacred oi boxes floating us, feet off the ground. Mountain snowmelt swirled around, sucking away my breath. Water pooled in my ears, creating a silenced cone. I barely kept my torch above water. With one hand I held my fire, and with the other I swam, legs kicking. As I rose from the water, the river cascaded from my robes and skin. To my right the crowd cheered. Dozens of people I didn’t know called my name. I waved, smiled and held my flame. Dripping the river at my feet, I felt like I’d just arrived. Walking past the crowd, we came to an orange and white traffic guard. Three firefighters instructed us to bring our torches together around a cord dangling over the side. I wasn’t sure what we were doing, and I didn’t understand what was about to happen, nor did I remember anything about lighting a little rope, but I followed. We became a collective. We lowered our flames. The cord wasn’t a rope, it turned out, but a fuse that, when lit, scurried along the riverbank like a phosphorescent insect and led to a charge of fireworks. This was how we were going to give back fire. We were setting off beautiful bombs — patterns of turquoise and vermillion, sparkling silver, orange, and bronze, shapes like inverted mountains — into the sky. The yamabushi walked over a small wooden bridge to get a better view as the explosions cracked overhead and rained ash on our faces. I crossed with them and watched the mountains become shadow on shadow as the sky blew up and the river reflected the colors of the twinkling blasts and the light on our faces.